Renovation of Buffalo’s historic buildings is booming, thanks in large part to the federal historic tax credit program. However, this type of investment and economic stimulus could grind to a halt if opponents of the credits have their way. 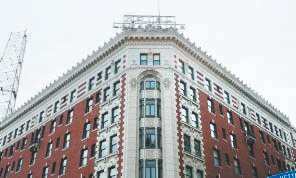 As News business reporter Jonathan D. Epstein outlined in his comprehensive article a week ago, the continuing renovation of our old buildings is dependent on an incentive that has been targeted for elimination. Tax reform efforts have turned a spotlight on government expenditures. In a budget-balancing proposal that can only be described as short-sighted, House Ways and Means Committee Chairman Dave Camp, R-Mich., released a discussion draft in February containing language that would repeal the federal rehabilitation credit. Protection and even enhancement of the federal credit is the centerpiece of a multiyear effort by the Historic Tax Credit Coalition in collaboration with the National Trust for Historic Preservation. The groups are seeking to reintroduce the Creating American Prosperity through Preservation (CAPP) Act. In New York, the Preservation League of New York State is leading advocacy for this legislation. Developers in New York State have aggressively used the federal program from the beginning, and since a complementary state credit has come on line, historic rehabilitation work has extended to all corners of the state. Proposed enhancements in the CAPP Act will make the program even more valuable for New York. Projects earning less than $5 million in federal credits will qualify for a 30 percent credit instead of the current 20 percent. That would apply to the majority of projects undertaken upstate. The CAPP Act also proposes to end federal taxation of state rehabilitation credit use. Currently, developers using the state rehabilitation credit lose 35 percent of the value of every dollar utilized in the state program. Eliminating federal taxation of the state credit will generate greater equity investment on the front end of projects, when capital is most needed. These CAPP Act enhancements could assist 36 projects pending or planned in Buffalo, totaling more than $83 million in projected capital investments for our city and more than $1 billion in pending projects statewide. Sen. Charles E. Schumer, D-N.Y., is a co-sponsor of the CAPP Act, and Sen. Kirsten E. Gillibrand has shown keen interest. That’s welcome leadership on the Senate side. But the House has yet to reintroduce the CAPP Act. Many members of the New York State delegation are interested and likely co-sponsors, including Reps. Brian Higgins, D-Buffalo, and Louise Slaughter, D-Fairport. Republicans in Western New York need to lead on this issue as well. Reps. Chris Collins, R-Clarence, and Tom Reed, R-Corning, must persuade House leadership to allow introduction of the CAPP Act and spearhead an effort to protect this economic development program from elimination. House leadership should understand that no matter what happens with tax reform, the federal rehabilitation tax credit deserves protection and enhancement. It is well documented that the program drives reinvestment and is a net income generator for the federal government. More important, it is a critical component of community revitalization and should never have been targeted for elimination.